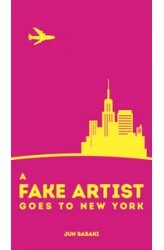 Fake Artist Goes to New York – is a party game for 5-10 players. Players take turns being the Question Master, whose role is to set a category, write a word within that category on dry erase cards, and hand those out to other players as artists. At the same time, one player will have only an "X" written on his card. He is the fake artist! Players will then go around the table twice, drawing one contiguous stroke each on a paper to draw the word established by the Question Master, then guess who the fake artist is. If the fake artist is not caught, both the fake artist and the Question Master earn points; if the fake artist is caught and cannot guess what the word is, the artists earn points. 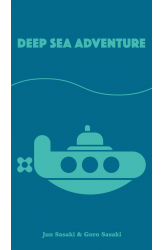 ..
A group of poor explorers hoping to get rich quickly heads out to recover treasures from some undersea ruins. They're all rivals, but their budgets force them all to share a single rented submarine. In the rented submarine, they all have to share a single tank of air, as well. If they don't get back to the sub before they run out of air, they'll drop all their treasure. Now it's time to see who can bring home the greatest riches. Game Objective The game takes place over 3 rounds, and the player to gain the most points over the 3 rounds is the winner. In order to gain points, you must bring the most ruins chips back to the submarine. You can only return to the submarine once per round, and you cannot progress more after returning. You cannot return to the submarine without bringing..
Do we really have free will? Who decides this? Are we controlled by what we hear and what we see, even while thinking we decide freely? Insider is a game that deals with these questions. While communicating to others, you have to find the right answers to a quiz or find the "insider" who is manipulating the discussion. The insider will do everything to hide their identity while misleading the others. In more detail, players are assigned roles at random. One player is the "master", and they secretly select a word from a set given in a deck of cards. (In a variant given in the rulebook, they can freely select and write down a word.) The "insider" player, whose role is not known to the other players, will then secretly view the word. The rest of the players are known as "comm.. 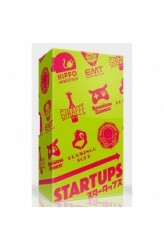 There are six companies that will change the world as we know it! You can be part of their success and be a investor. Try to become rich by making the right decisions! Only the one biggest investor can get money out of each company. You must try to read the next steps of your rivals and use your capital and your three hidden cards to win against them and become the biggest shareholder! You have to be lucky in this game but you must also think about your moves and analyze your rivals! 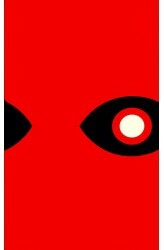 You can play this card game with only a few players but also with many! https://youtu.be/5yaPOQ7VZ2U ..